We all know about the hugely popular Cabernet Sauvignon, but its lovely parent grape tends to get a much smaller share of the spotlight. Until now, that is. 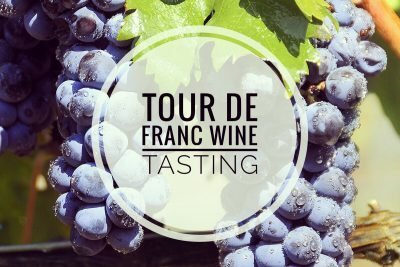 Our “Tour de Franc” tasting on Tuesday, January 23rd will feature single varietals and blends highlighting Cabernet Franc, a savory and mouthwatering grape that has been around for centuries. The lineup of wines will be paired as always with delicious food plates from Hearth Artisan Pizza. The event starts at 5:15 PM on Tuesday the 23rd, and tickets are on sale now at Hearth.